Veritaffles are a staple of the Harvard student diet – there’s nothing like a warm, carbohydrate – infused start to another long day of problem sets, and club meetings, and all of the other delightful things an overbooked undergraduate has to look forward to. But sometimes, you need to spice up your Veritaffle. A plain waffle is just not enough. That’s where the amazing oatmeal peanut butter Veritaffle comes in. It’s a quick and easy d-hall hack to make your breakfast and brunches heartier than ever. These are very straightforward: all you need to do is throw in a couple extra ingredients into the pre-made waffle batter! Just the right amount of peanut butter! 2. Add the oatmeal, and mix thoroughly so there are no clumps of batter or oatmeal. 3. Add the peanut butter, and mix thoroughly once more so the peanut butter is evenly mixed into the batter. 4. Pour into waffle maker, wait those anxious 2.5 minutes, and enjoy! Slice a banana on top for good measure. Before Thanksgiving break, the owners of Follow the Honey kindly hosted Crimson Crave for a honey-tasting extravaganza and information session. As we entered the basement of 1132 Massachusetts Avenue, with our cold toes poking out of our flip-flops, we were embraced by warm lighting, warm air, and warm, flowery smells. We started off at the raw bar, where people can come in and sample tons of honey for free. A lot of the honey sold there was from small local beekeepers, but we had a variety of different honeys from around the world, paired with local French-style cheddar and French bread. How local is local, you ask? In fact, surprisingly, there are many beekeepers in the urban setting of Cambridge. Follow the Honey even has their own bees and makes their own honey. However, we also tried honeys from places as far away and remote as Colombia and Tanzania. The owner, Mary Canning, and her daughter, Caneen, take trips to visit the beekeepers all over the world to get a better sense of where the product is coming from. They hope to encourage beekeepers, from all over, but especially developing countries, to take advantage of the resources at hand to make delicious honey. Follow the Honey tends to bees in their very own backyard! What was most striking was the pure variety of honey, and the variety of flavors, textures, and colors it could take on. Honey is made from and takes its flavor from the nectar of the flowers that bees pollinate. 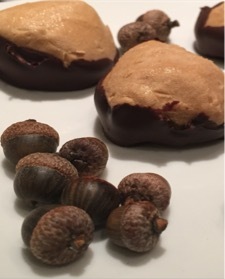 It is the extraction of flavor of these otherwise inaccessible flavors inside flowers. What makes these flavors so inaccessible? The tiny amounts of nectar per flower. Bees must extract it all and concentrate it into honey! Honey made from melon honey does not necessarily taste like melons, and a wild flower honey does not taste like a wild flower. There is an unbelievable amount of flavors honey can take on, which is dependent on the bee that makes it, but also the flower from which the bee extracts the nectar. There are hard honeys, which have a degree of granularity due to the crystallization of sugar. One type of honey we tasted from Hawaii was pure white and dissolved in your mouth, like white sand being washed away by a wave. Other honeys took on ridiculous flavors like chocolate, cinnamon, turmeric, and we swear to god, marshmallows. Some honeys were made from oak flowers, tasted like caramel, and looked like amber. A few of the honeys we tasted. Although the honey they sell is certainly reason enough to stop by Follow the Honey, the store itself is simply adorable. The interior is warm and inviting, and in the warmer months, their terrace offers a burst of nature in an otherwise urban environment. A view of the terrace at night. Among the growing number of chains that seem to be popping up in Harvard Square, the uniqueness of Follow the Honey is striking. Not only do they sell honey in the usual glass jar, but they also sell honeycomb, honey on tap, and other bee-themed products. If you are looking to buy a unique gift, taste some honey, or want to show off a cool place in Harvard Square to your parents, Follow the Honey is definitely the place to bee. Bored of the typical Harvard Square eats? Bogged down by midterms? Take a break next Saturday afternoon and take advantage of all that the Square has to offer. The Harvard Square Tasting Tour is led by Trademark Tours (The Hahvahd Tour; City Wine Tours) and combines history and trivia with an afternoon full of culinary treats. Leaving from Out of Town News at 3 pm, the tour stops at local artisan stops and restaurants including Cardullo’s, Grafton Street, Salt & Olive, Follow the Honey, Russell House Tavern, and PARK. Tickets are available through Eventbrite (http://www.eventbrite.com/e/harvard-square-tasting-tour-tickets-18100557254) for $43 and include samples at each store and light bites and cocktails at the restaurants. Start: Cambridge Information Booth, located at 1376 Massachusetts Ave, Cambridge, MA 02138. Cardullo’s: Browse delicious gourmet imports at this iconic Harvard Square grocery, and learn about the shop’s history. Grafton Street: Quick approaching its 20th anniversary in the Square, Grafton Street is the neighborhood destination for perfectly pulled pints and thoughtful fare. Salt & Olive: Much like wine, olive oil and vinegars have complex aromatic flavor profiles that, when understood, can greatly improve a dish. Owner Mary Taylor will guide us through a hands on tasting! Follow the Honey: Did you know it takes 1,125 bees foraging 2,000 flowers to create one pound of honey? Learn all about the amazing world of bees and enjoy a side by side taste test of three honeys from diverse origins led by owner Caneen Canning. Russell House Tavern: You’re at the heart of Harvard Square when you’re at Russell House Tavern. An elevation of the local, neighborhood tavern experience, Russell House offers seasonally inspired American fare alongside a carefully edited and locally influenced drink list. PARK Restaurant & Bar: Located in the “Lower JFK” area of Harvard Square, PARK is a vibrant destination for friends, family and acquaintances to linger over lively conversation, playful plates and thoughtful drinks. In addition to the three signature dish and cocktail pairings you’ll enjoy along the way, Grafton Group is offering Tasting Tour participants 10% off food at any of their four properties! Settle in to your favorite spot, show your server your Tasting Tour ticket and sit, dine, drink and linger – at a discount! *Discount is only valid on the day of your tour. Pictures provided by Grafton Group. While Annenberg’s exquisite stained-glass windows never fail to impress, the dining hall breakfast can get old very quickly – especially for those looking for healthier options. After all, how many days can one eat oatmeal before it gets boring? One of the best things to eat in the d-hall at this time of the year are the apples. After a while, though, I get sick of eating them plain or with peanut butter. 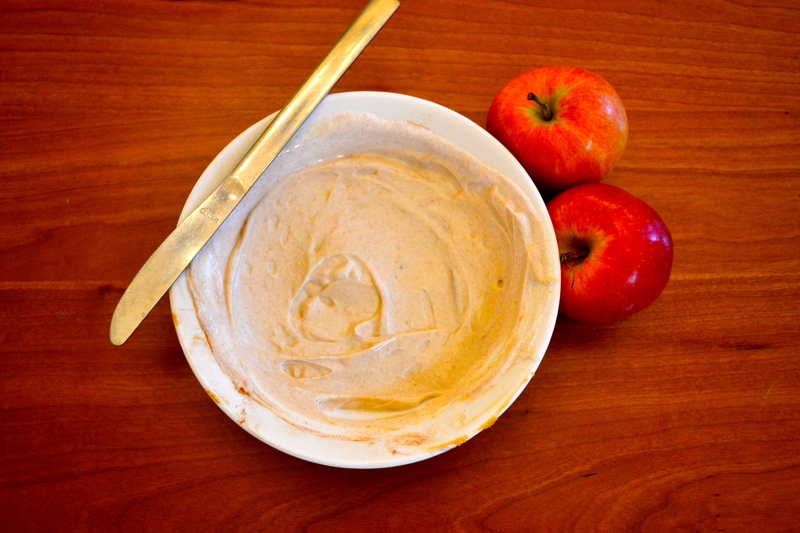 This creamy, cinnamon-y dip is the perfect complement to the crisp, tangy apples, and all of the ingredients for it can be found in the dining hall! 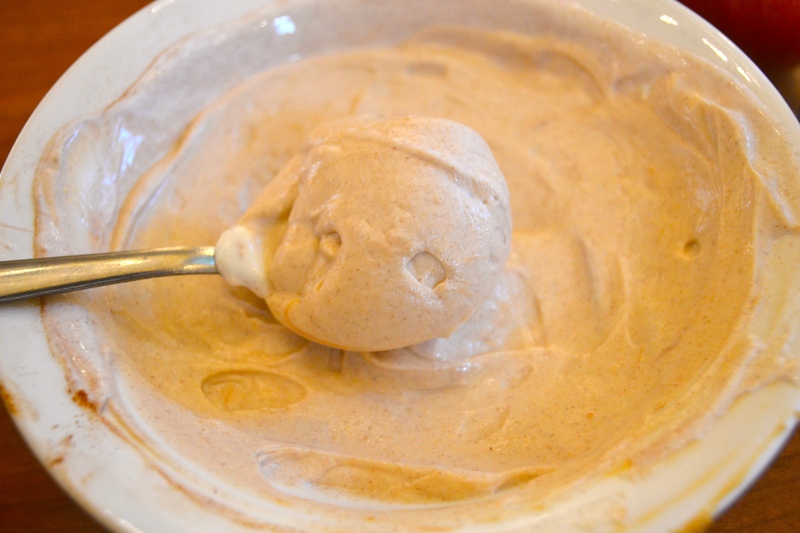 In a cereal bowl, combine the yogurt, cinnamon and honey. Add the peanut butter and mix well. Enjoy! One of the best meals I had in Italy this summer was not what I or most people would think of as typical, delicious Italian food. It wasn’t a bowl of beautifully crafted pasta tossed in just the right amount of mouthwatering sauce. It wasn’t a perfectly crisped and topped pizza. In fact, there weren’t many carbs at all. Maybe if we went back five centuries or so, this would’ve been standard fare (it was, after all, a medieval restaurant). If this is the case, take me back to the 1500s. 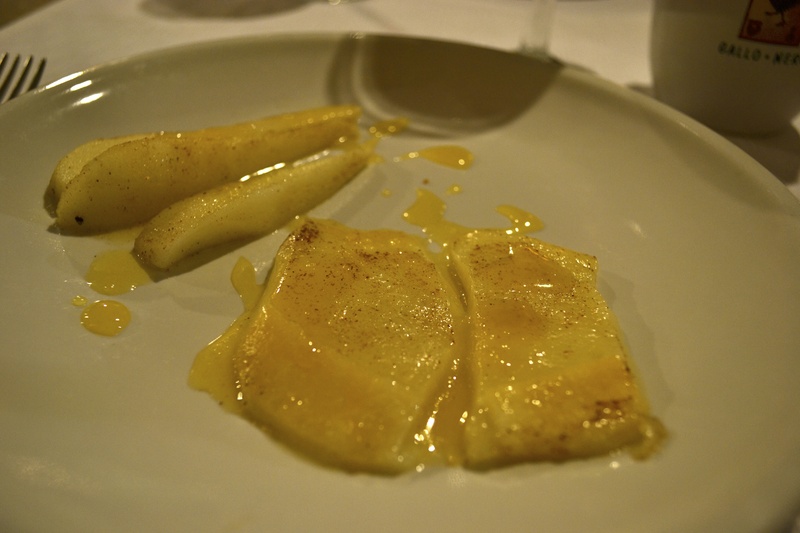 Because arguably the best dish I had during eight weeks in Italy (excluding the daily gelato, of course) was a simple plate of warmed and slightly melted pecorino fresco, served with lightly baked pears, all drizzled with honey and sprinkled with cinnamon. Maybe it sounds weird. Maybe you’re thinking Italians should’ve stuck to what they do best: pasta. But I, and my even-now-watering mouth beg to differ. There was something about the combined creaminess of the pecorino with the sweetness of the pear and honey and the warmth of the cinnamon that made this simply divine. The disappointment was audible as everyone scraped their plates clean with perfectly-spiced bread, wishing that they had made it last just the slightest bit longer. So now as I sit in lecture, daydreaming of all the food I ate and asking if this summer was even real, my mind is running, thinking of ways I can transport this simple dish forward through time and across the Atlantic. And I think I have an idea that might just satisfy my longing and hopefully satisfy your taste buds. Italians have little concept of breakfast: colazione is often nothing more than a cappuccino or espresso at a bar, perhaps paired with a simple brioche. 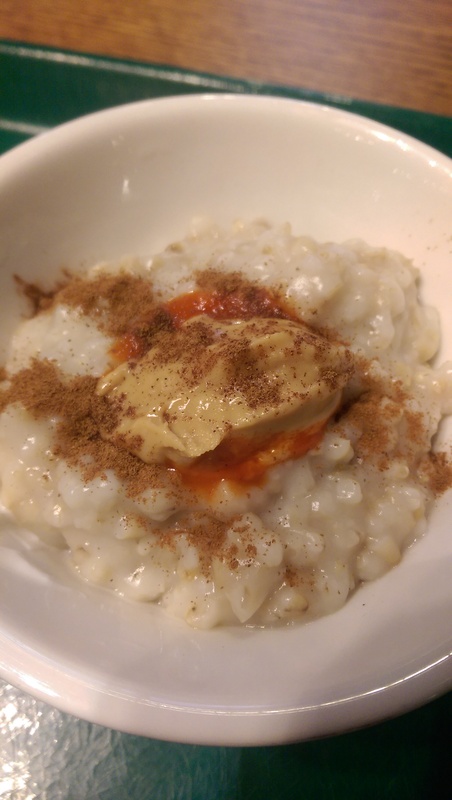 Though I would rarely make it to breakfast during college, even I somehow felt the absence of this “most important meal of the day.” So when I finally started going to breakfast this year, I realized peanut butter oatmeal can get pretty boring pretty fast and decided to draw inspiration from the Italians. 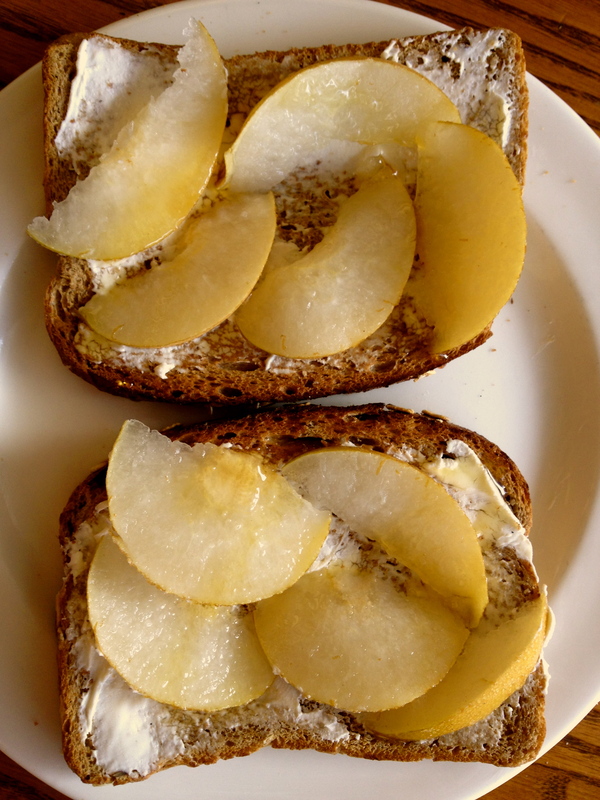 Pears and cheese, but now for breakfast – as toast. It’s the tiniest bit indulgent, but perfectly filling and the much-needed pick-me-up to get me ready for the day. 1.) Toast two slices of multigrain bread to your liking. Spread a thin layer of cream cheese on each slice. 2.) 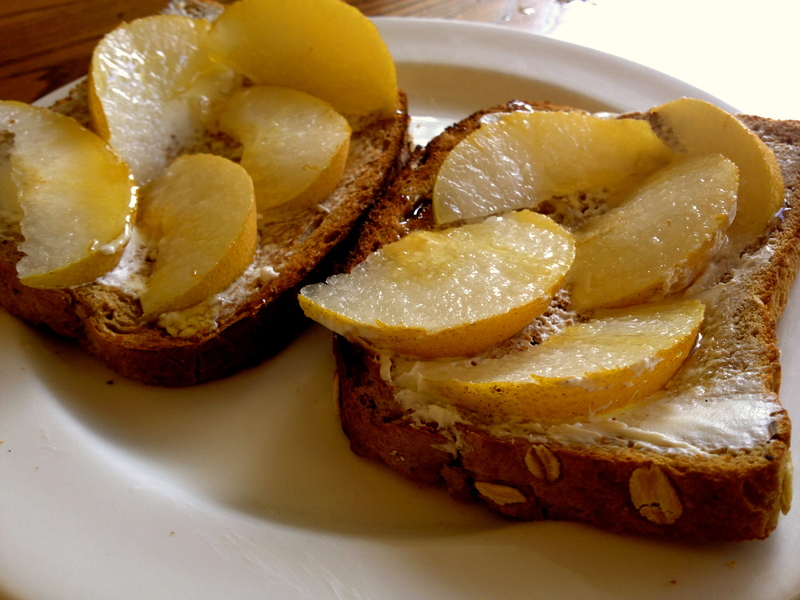 Cut a pear into thin slices and arrange on top of toast. 3.) Drizzle with honey and warm slightly in the microwave. Feeling fancy? Grab a nice baguette and a soft cheese. Lightly toast the bread, then immediately place thin slices of cheese on top so that the cheese melts slightly. Top with pear slices and lightly dust with cinnamon. Drizzle with honey and the slightest bit of balsamic vinegar (the more aged, the better!). Enjoy. You’ll never need Crema sandwiches again!